, you had to looking on table tide, hours and tide level, cause current up to 80 level are dangerous and you will going far away from coastal area and just wait the next flowtide to return or stay on your anchor 6 hours during. 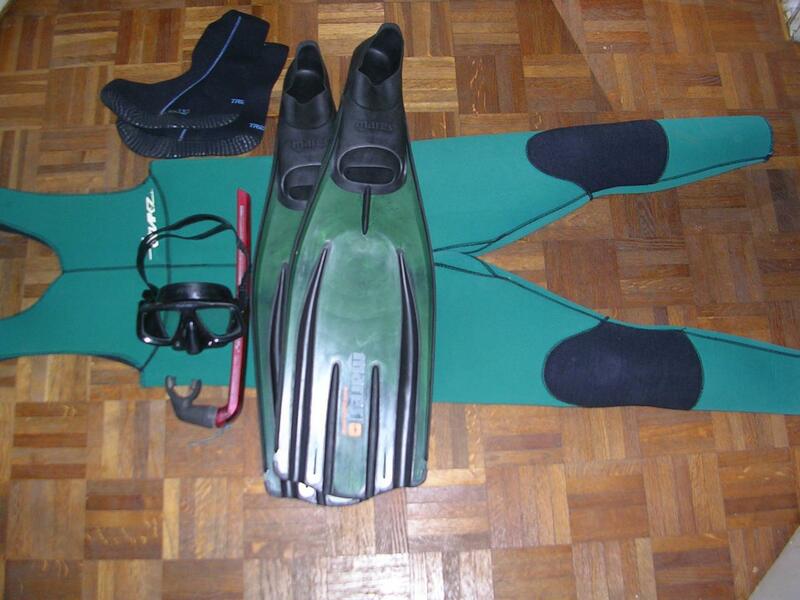 I personnaly use complet diving equipment, and just let the up part cause that really warm under summer sun. Important for sensitive people about sun ray use sun cream protect, and you'll had to bring a bottle of water attach by a rope. Drinking water permit to you not having seasickness in case of!!! Polarized Glasses are just for fun, possible to see fishes arrived and it will more funny fishing. You need an anchor with rope of 50 meters length. Click to see drawing of anchoring technic. Concerning fishing tackle 1 little fishing net to conserve catches, one luxe rod holder ( just scratch band around boat's arm, and a plastic tube that's all), I 'm principaly fishing with 2 hooks rigs , but it 's better to had slidding rig to catch uper sized fish like red snapper, pink snapper , and silver fish. yOU LL caught same species than in boat fishing cause in legal french's area in sea (300 m from coast) you should have 20 meters depht. It possible to make lure's fishing, to catch somes maquerel or denton under jig, plastic lure, pulpo jig.